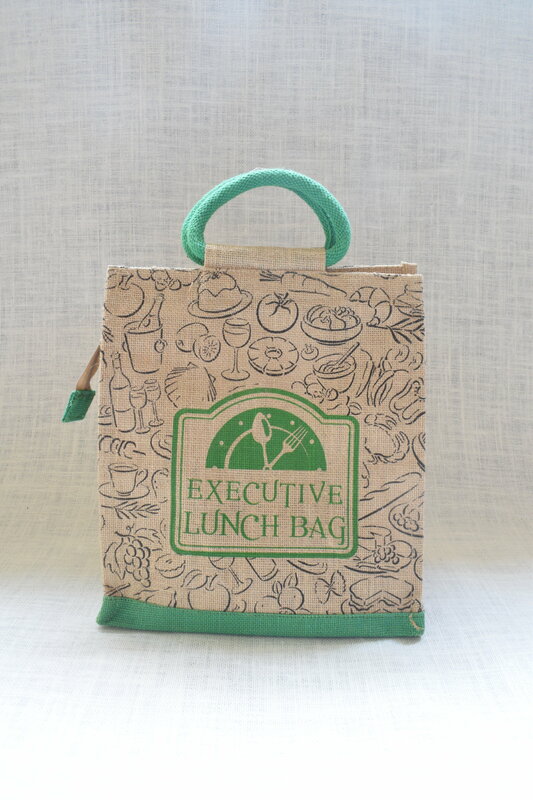 Jute Lunch Bag from house of Saran Jute Bags. 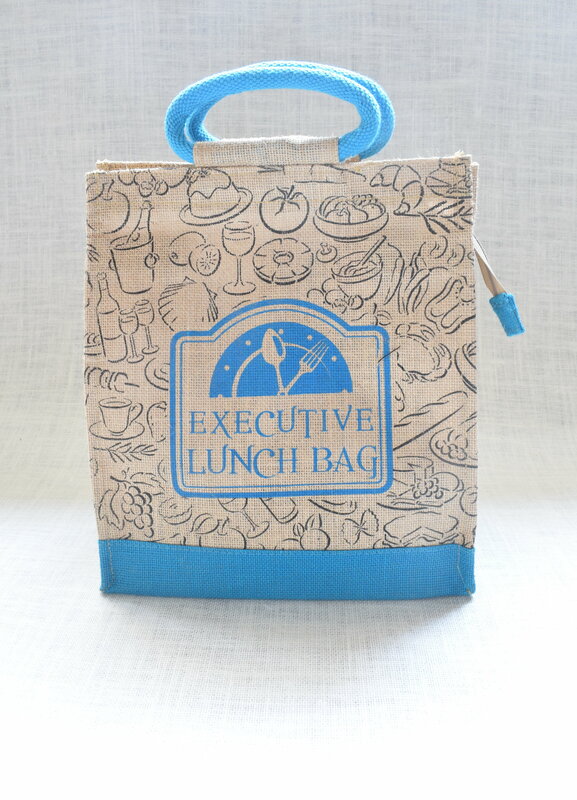 Executive Lunch Bags are good , for keeping Lunch Boxes and water bottle in it for Office going Peoples,Corporate employees etc., where it has a zip to it and smooth texture rope handles for easy carrying. 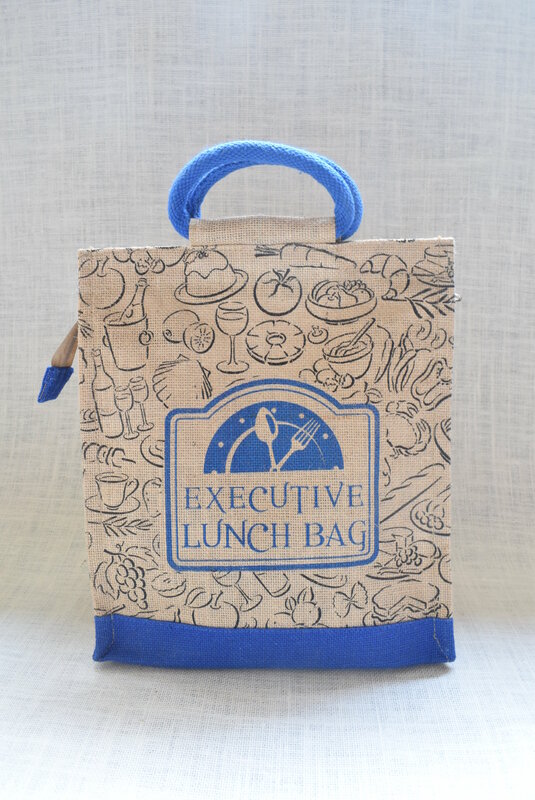 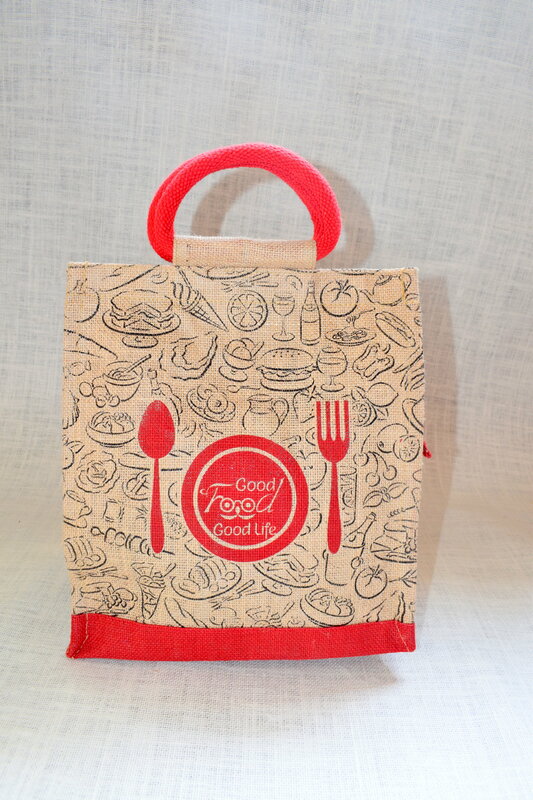 Bag can be given as a return gift in functions by printing customize print on it and bag can be used for Promotional Purpose by printing your own brand logo and promote in easy way by saving environment.